I have been with Alcami for 2 ½ years. I am the team lead for the Microbiology Department at the Alcami Charleston, SC facility. 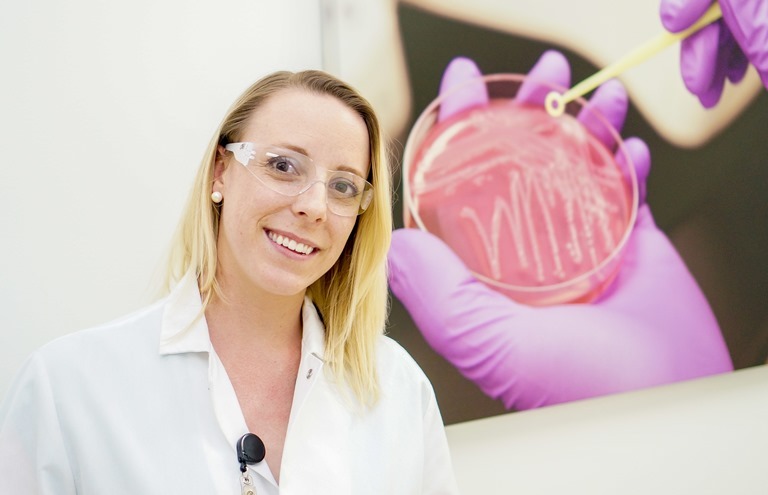 Our team is responsible for microbiological monitoring of the environment that is involved in the manufacturing of parenteral drugs. The team also tests the product, performs utility testing, personnel monitoring and aseptic gowning training, sterilization cycle validation support, media fill support, and method suitability testing (just to name a few!) for added assurance that the product is sterile. 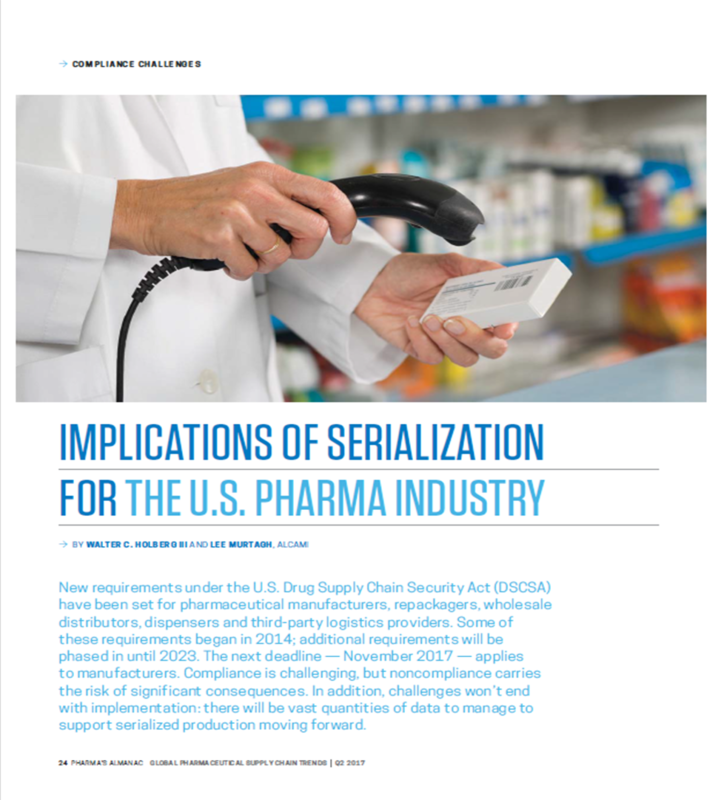 Microbiology testing lies at the very heart of parenteral manufacturing. Knowing that what I do helps patients have a safe and effective product that has potential to save and/or change the quality of their lives is incredibly rewarding. There are not a lot of careers that offer the ability to have that type of impact. Solving challenges such as leading investigations, as well as working on continuous improvement, is always a welcomed part of my day. 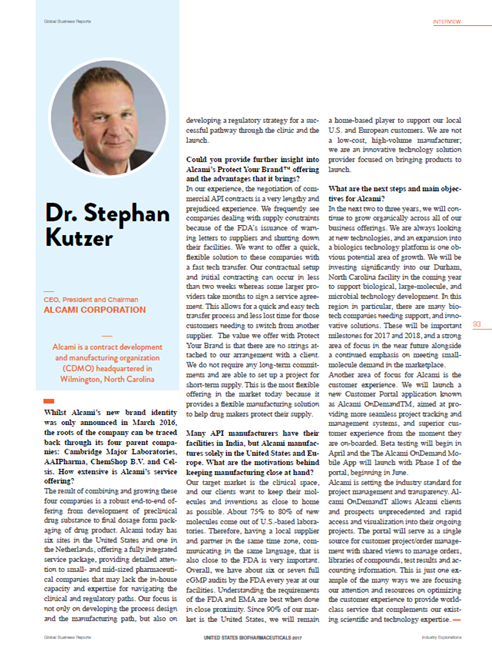 Dr. Stephan Kutzer, PhD., Alcami CEO and President, is featured in an interview published in the Global Business Reports' Special Report on United States' Biopharmaceutical Industry 2017. Whilst Alcami’s new brand identity was only announced in March 2016, the roots of the company can be traced back through its four parent companies: Cambridge Major Laboratories, AAIPharma, ChemShop B.V. and Celsis. How extensive is Alcami’s service offering? 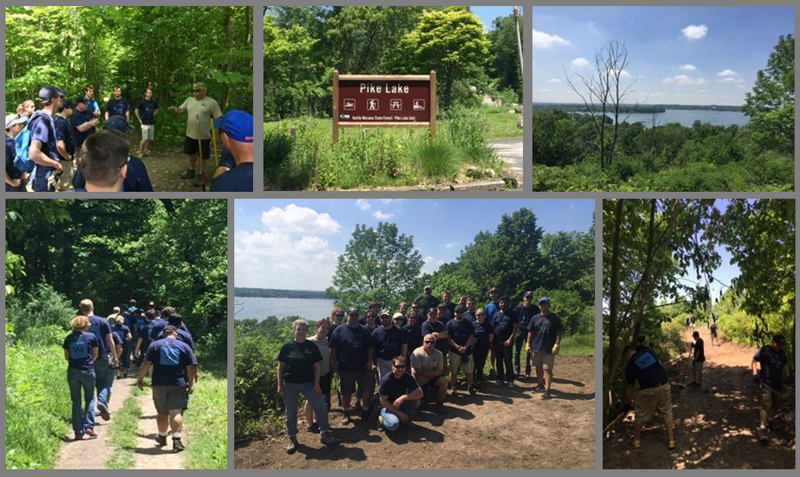 Germantown, WI (USA) – June 13, 2017 – Alcami, a leading provider of custom development and manufacturing services for the pharmaceutical and biotechnology industries, today announced a partnership with the Wisconsin Department of Natural Resources (DNR) to rebuild a half-mile section of the Pike Lake Hiking Trail in the nearby Kettle Moraine State Forest. 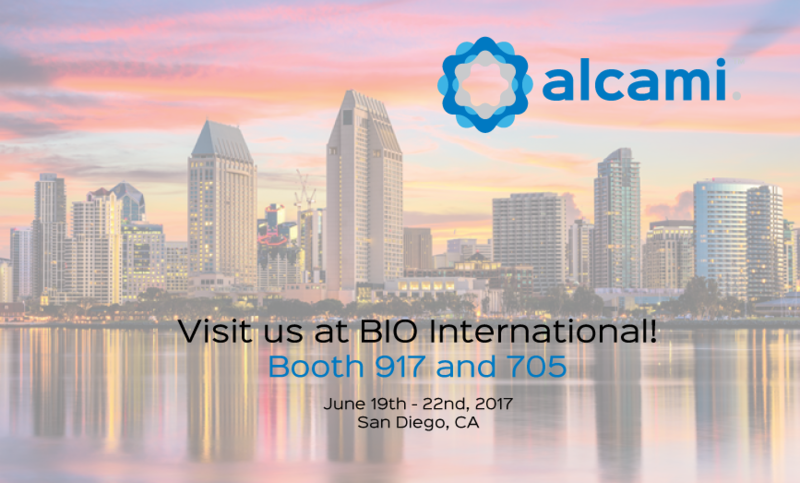 Alcami will be exhibiting at BIO International to be held June 19 - 22, 2017 in San Diego, CA. Be sure to stop by Booth 917 to experience our 360° Virtual Lab and speak with our team! Alcami will be exhibiting and presenting at the 6th Annual HPAPI Summit to be held June 20-22, 2017 in Boston, MA. Be sure to stop by our exhibit and chat with our team to learn more about Alcami's highly potent API capabilities.